Welcome to a place filled with warmth and light, smiles and laughter, fun and fitness, love and learning. Daily experiences in Science, Technology, Engineering, the Arts, and Math provide a foundation to ensure each child is ready. Ready for school. And ready for life. As a STEAM school, we offer hands-on learning experiences in science, technology, engineering, the arts, and math, to ensure children are ready to navigate a changing world. Classrooms are carefully curated with STEAM-inspired toys and tools. In a Principal, we look for committed individuals who want to make a difference in the lives of young children and their families, while effectively and efficiently running all school operations. Make a difference every day! Be accountable for the operation of the school, ensuring that the school is operating in accordance with company and state licensing standards. Be responsible for ensuring an educational, caring and safe environment for the children and parents. Ensure our quality curriculum standards are implemented. Build a team of high performing ECE professionals. Conduct tours for new prospective families. Implement local marketing plans to drive enrollment. Ensure licensing standards are met. Monitor and manage the financial progress of your center. Must be Director qualified in the state of Colorado (Colorado Director’s Certificate). Must have a minimum of a Bachelor’s Degree in Early Childhood Education, Early Elementary or related field. Must have at least two (2) years of experience in an early childhood program with at least two (2) years as a lead teacher. We offer paid time off, health insurance, childcare and other discount programs, educational assistance, countless advancement opportunities and more! This is your opportunity to do something special! Come grow with us! To apply for this job please visit careers.learningcaregroup.com. 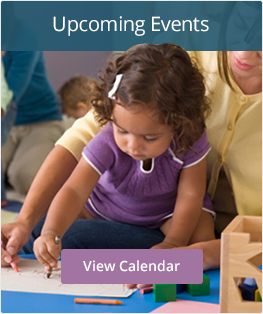 ©2019 Early Childhood Council of Larimer County. All Rights Reserved.